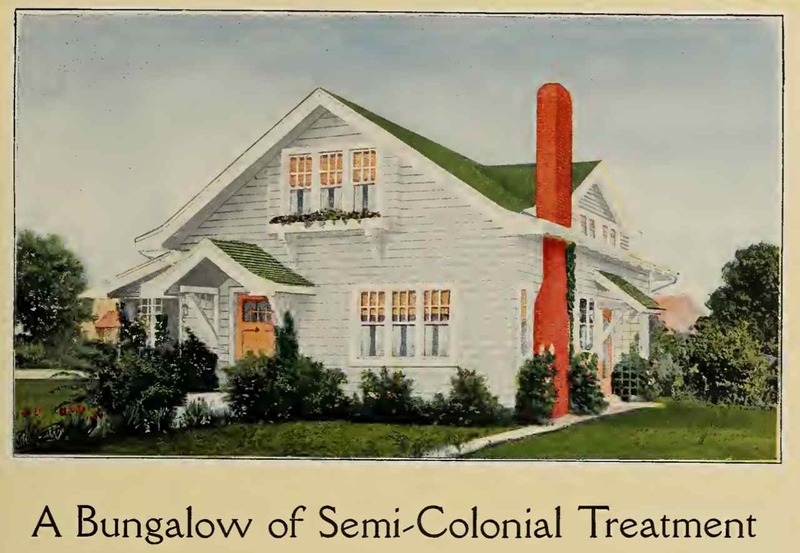 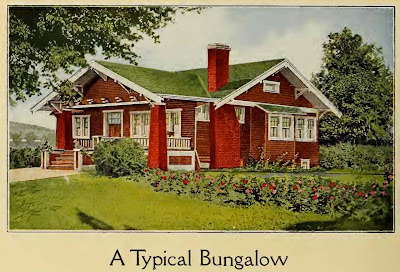 I ran across another supply of color bungalow pictures from the early 1900s. 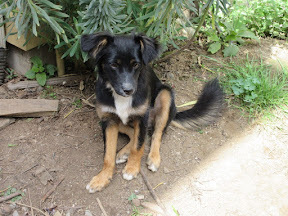 I'm going to backdate this blog post so folks won't see this at the top of their reader. 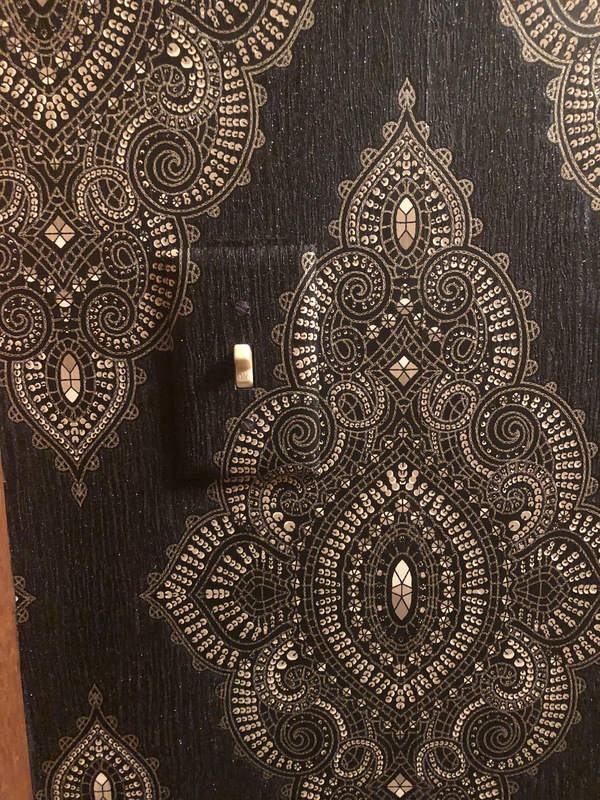 These are mostly for google searches anyway. 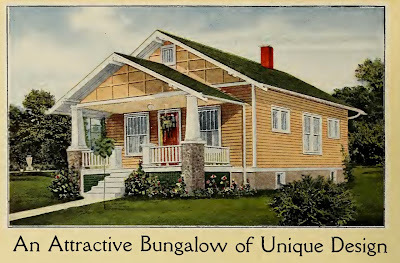 I like to do what I can to support accuracy in bungalow exterior remodels. 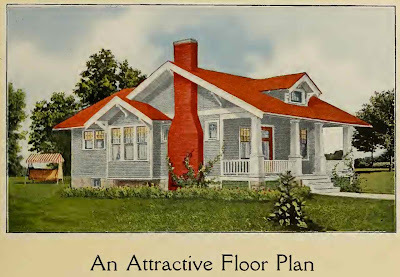 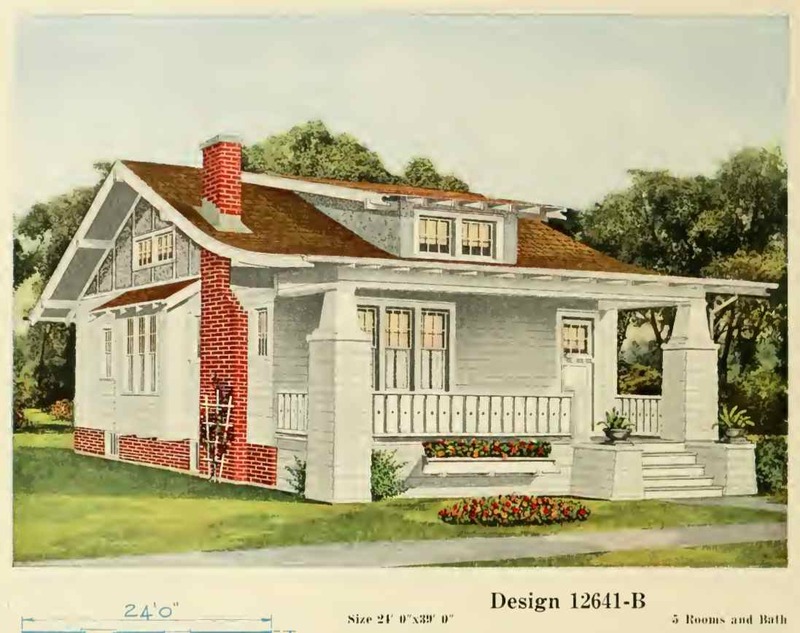 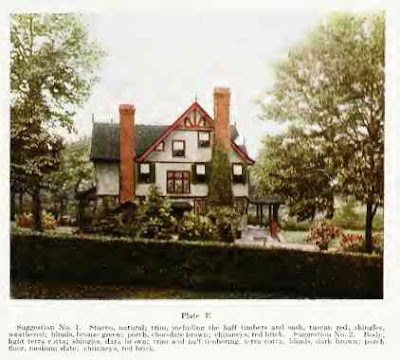 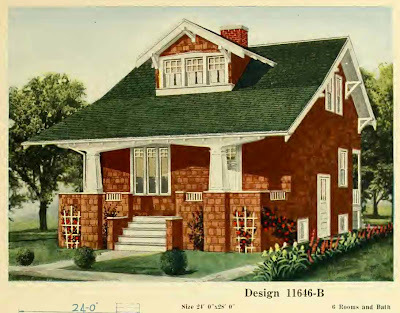 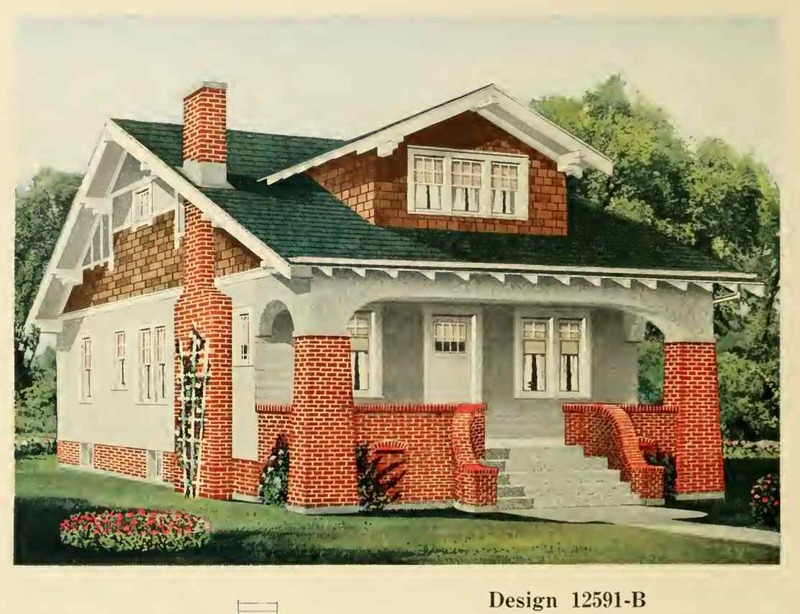 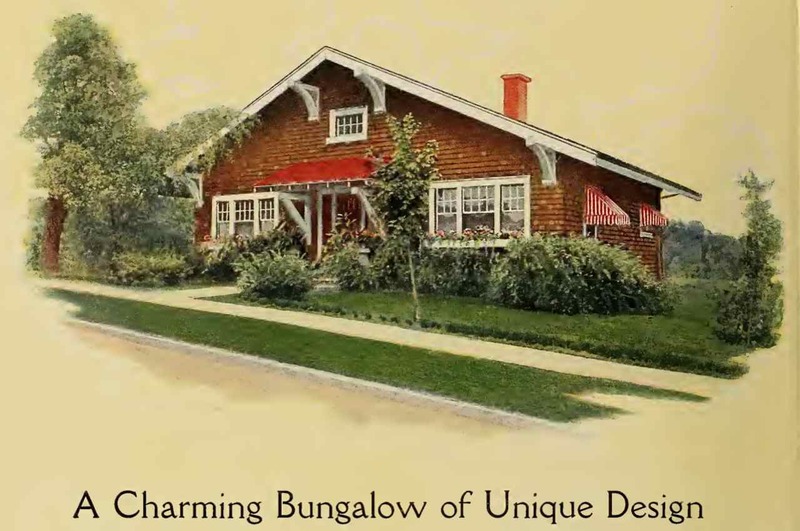 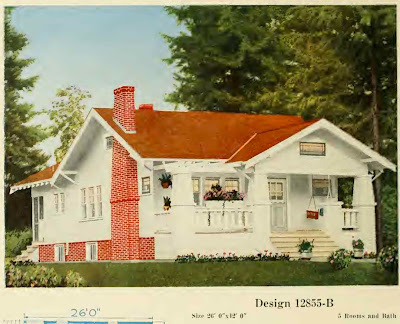 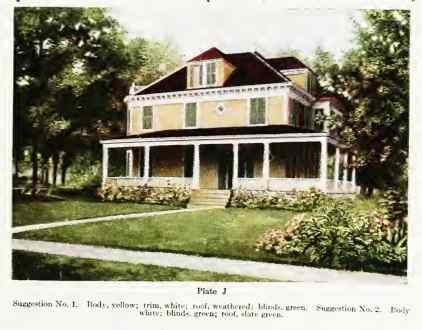 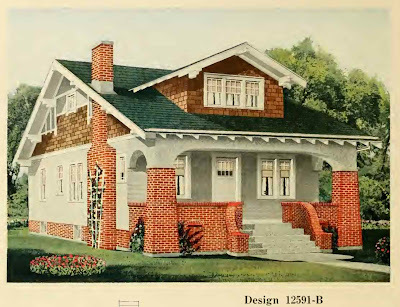 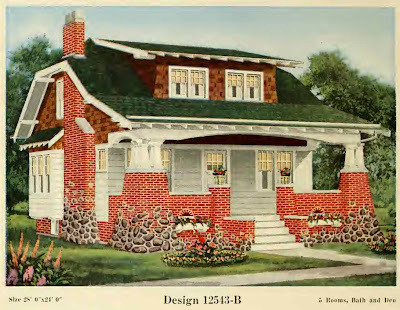 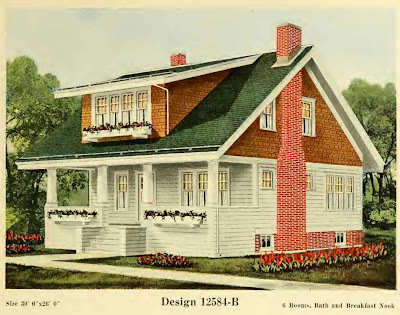 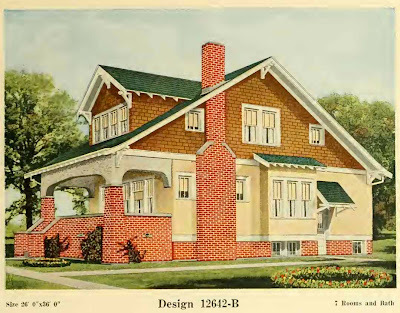 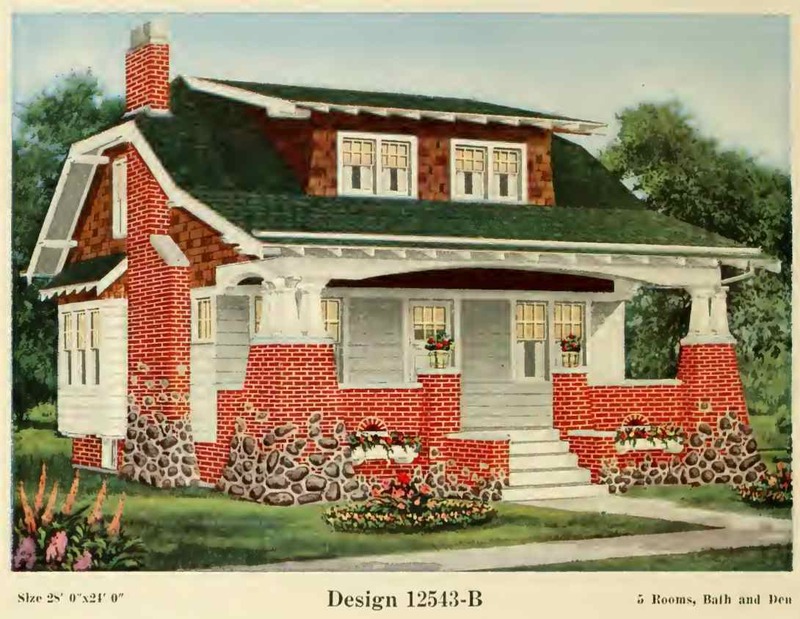 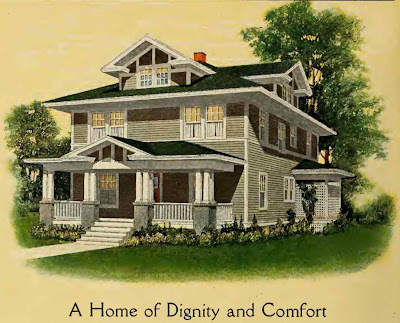 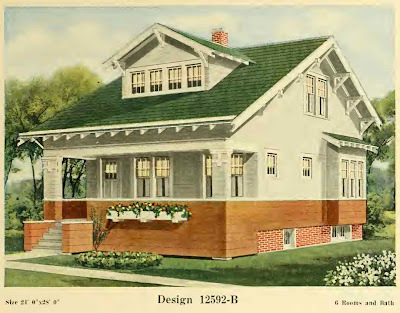 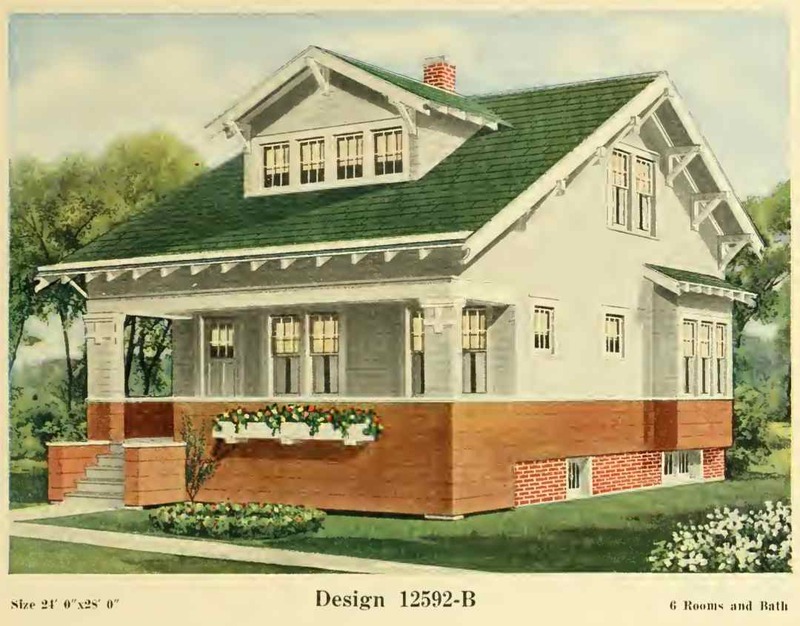 These houses are from a book titled "Book of Home Building and Decoration," by Henry Collins Brown, published in 1912. 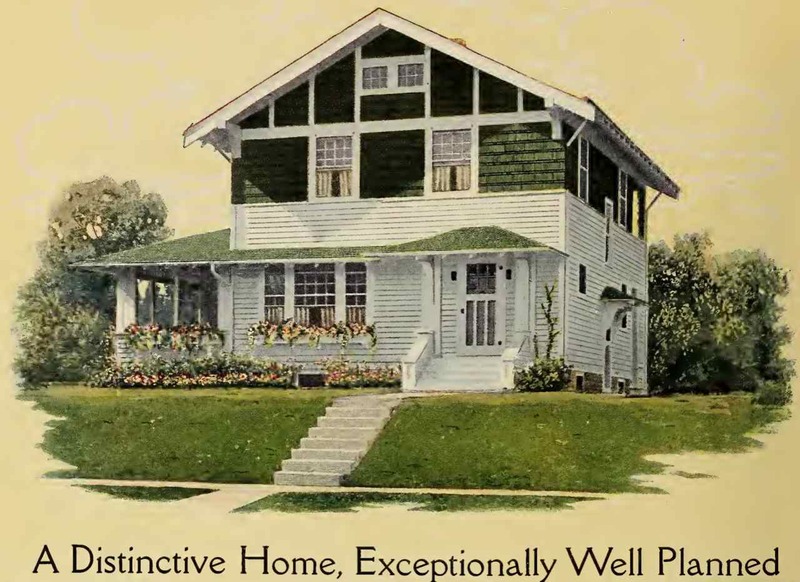 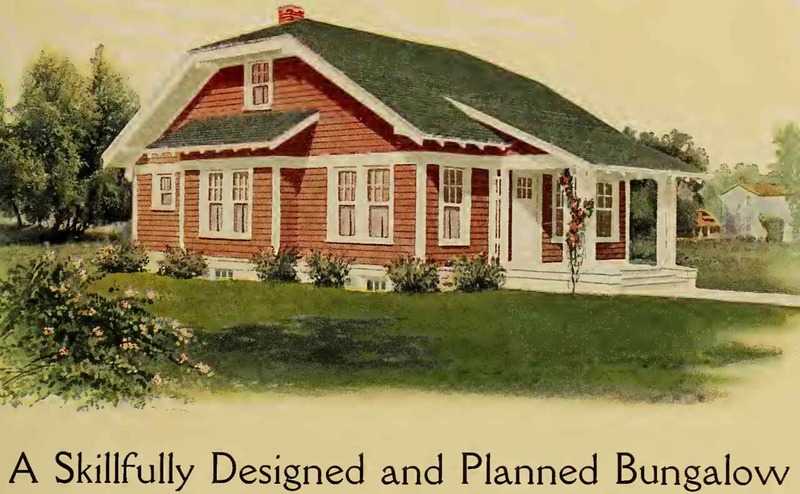 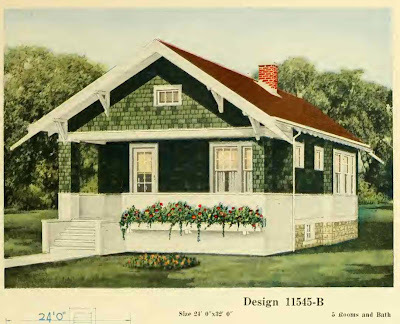 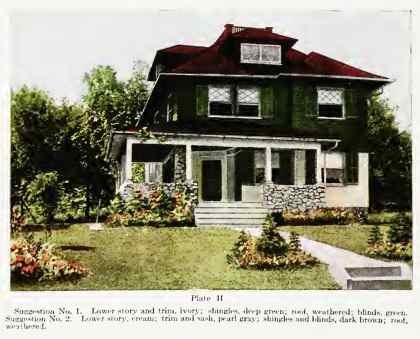 These houses are from a house plan catalog put out by Central Lumber in 1920. This set of bungalows was published in a book titles "Home of Your Own" put out in 1921 by The Corn Exchange National Bank. 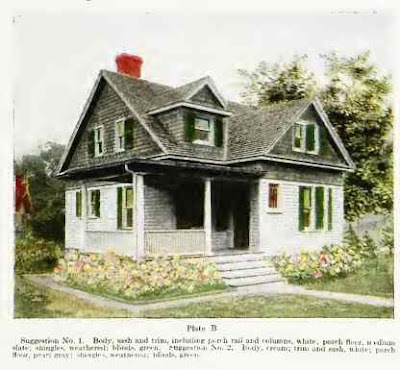 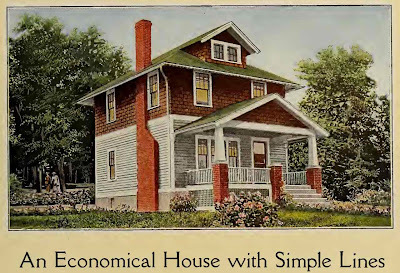 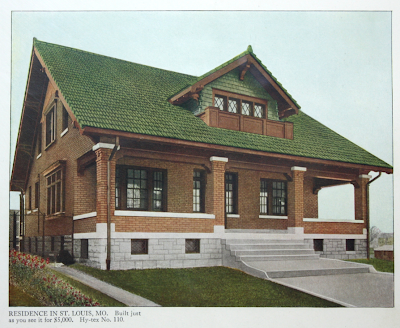 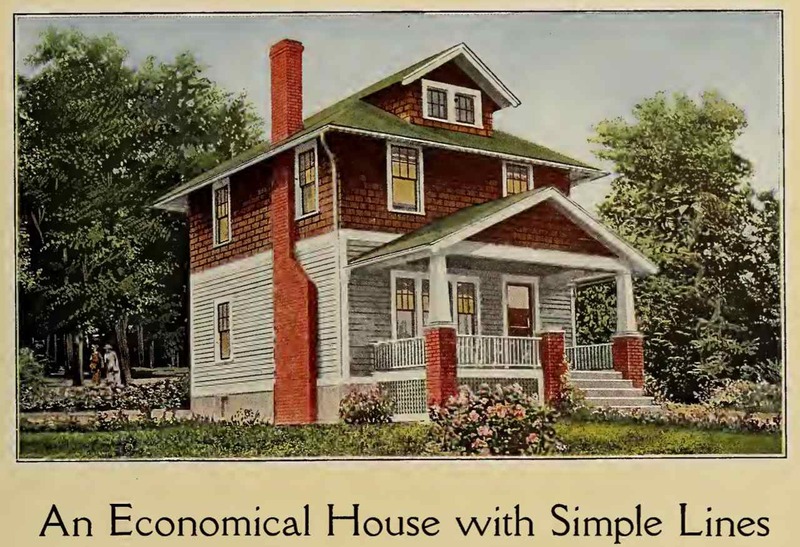 Plus a pretty brick bungalow from "Genuine Economy in Home Building" published in 1913 by Hydraulic-Press Brick Company.